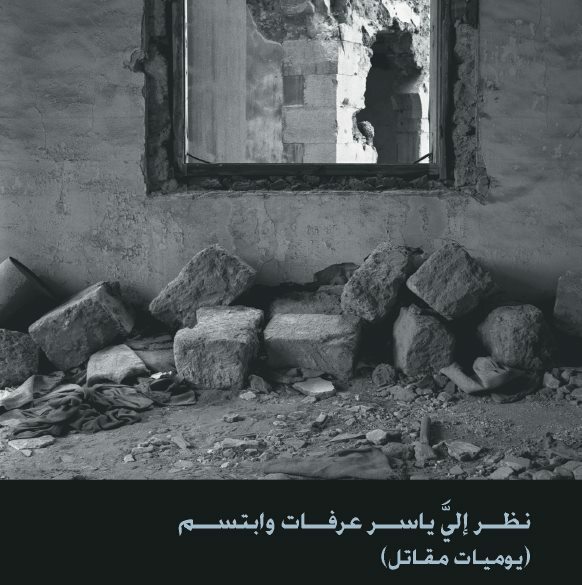 Ashkal Alwan is pleased to launch the 2nd edition of Yussef Bazzi’s bilingual Yasser Arafat Looked at Me and Smiled (Diary of a Fighter) in the presence of the author. This book is a personal record of one Lebanese young man’s excursion, during the first half of the 1980s, into the streets of war, learning its ways. It is a record of battles and militia existence, spanning the whole of Lebanon, recounting daily paradoxes of living close to death and in chaos. Yussef Bazzi is a writer and journalist based in Beirut. He was the editor-in-chief of Nawafez, al-Mustakbal’s cultural supplement; al-Ittihad‘s cultural page in Abu Dhabi and al-Rai al-Aam in Kuwait. He has also worked for as-Safir newspaper in Lebanon. His poetry, published by Riad al-Rayyes Books and Dar al-Jadid, includes In the Crow’s Mouth (2016), Without Forgiveness (2004), Under the Hammer (1997), The Camouflaged (1989), and other books. He also published One Dahieh, Many Cities (2017).